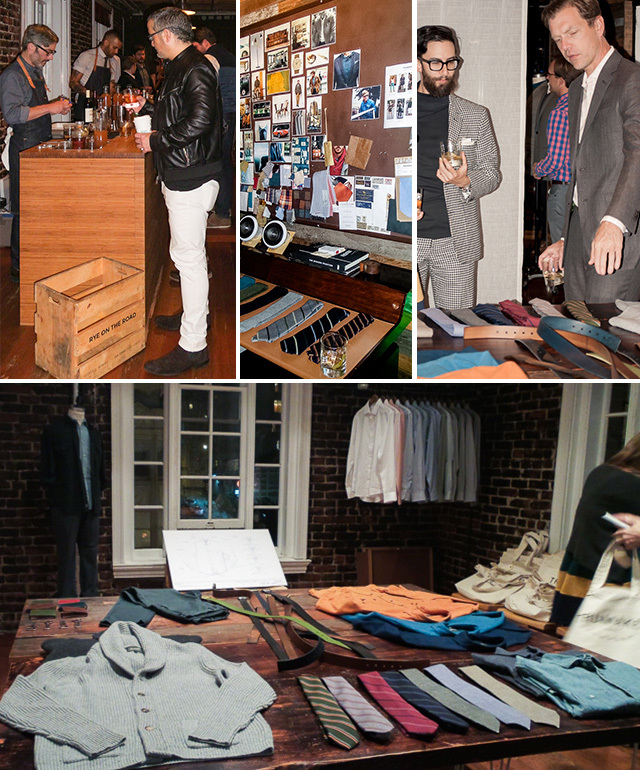 Last Thursday, I attended the Trumaker showroom debut in San Francisco. It was a trig and polished haven with city views, hardwood floors, menswear displayed throughout and well-dressed man (and women) everywhere I looked. I hate to use the word “man-cave” because that has such negative connotations, so I’ll use the words, “Gentlemen’s Lounge” instead. This is the kind of place that classy men would hang out in. The Trumaker folks know how to throw a suave event with deli treats from Salumeria, cocktails provided by Rye On The Road, and live music provided by special musical guest, Michael Deni of Geographer. I got to chat with Adam Sidney of Trumaker and learned more about the brand. Trumaker is a 3 year old brand that was started at the end of 2012. Originally the idea was to send out “outfitters” to men’s workplaces to measure them and provide them with options that look good and fit well. This idea has evolved into offering more choices to men. You can have an outfitter come to your workplace, shop online or stop in at the Trumaker showroom. With the showroom in San Francisco (and in Chicago), men can come in, have a beer, watch TV and get personalized service in a relaxed environment. Basically the Trumaker folks want to make it easy to get you what you want, the way you want it. Have someone come to you or come hangout in the showroom. Whatever is most comfortable or convenient for you. The Trumaker shopping experience is a unique one. The goal is provide clothing that fits well, is easy to wear and easy to pair. To eliminate closet anxiety. 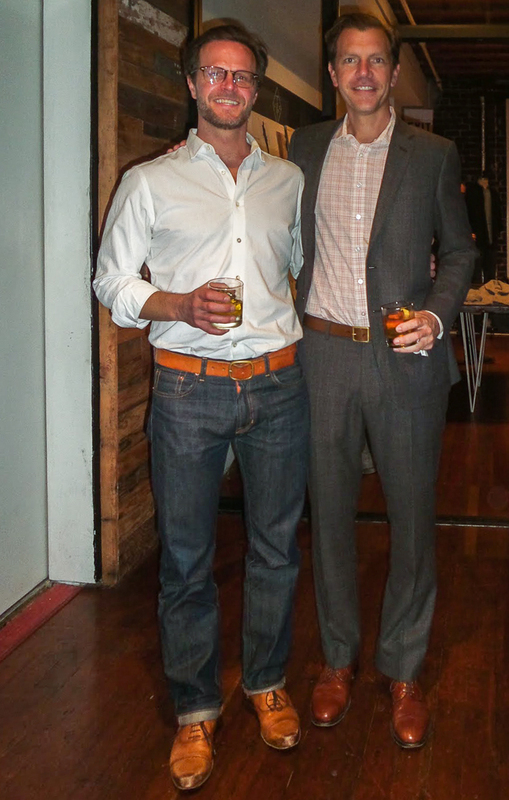 According to Co-Founder, Mark Lovas, ” Getting dressed in the morning should be easy”. The measure of a man is more than how much he owns or earns. It’s more than the clothes he wears. The true measure of a man is in what he does. 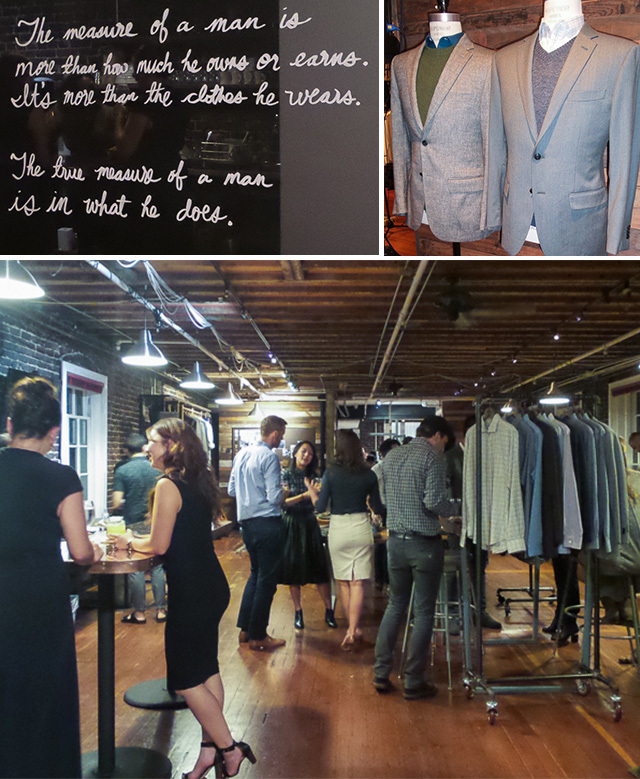 The men of Trumaker describe their brand as a lifestyle brand with the made to measure approach. They are fans of craft and great quality and just from being in the Trumaker space and talking with some of the people, I get the sense that they do want to provide the best service and quality to their customer. The pieces I saw were gorgeous and great quality. I really love the idea that they are there to help spruce up the gentlemen of San Francisco. Makes my trig hunting in the streets all the more rewarding. Thank you, Trumaker, for having Trig & Polished at your debut and thank you for doing what you can to turn men into stylish gentlemen.